From the front inside fly leaf: During the period immediately before the Second World War, the RAF modified its command structure to rationalize for rapid expansion. Bomber Command was divided into six operational groups, each flying the same type of aircraft, including Wellingtons, Sterlings, and Lancasters. Chris Ward presents us here with the history of 1 Group Bomber Command, having previously acquainted us with the histories of 3, 4, 5, and 6 Groups in four highly acclaimed volumes, published by Pen and Sword. He continues with characteristic ease, quality of research, and narrative pace, to present us with an operational record of the groups activities during a particularly dramatic period of aviation history. 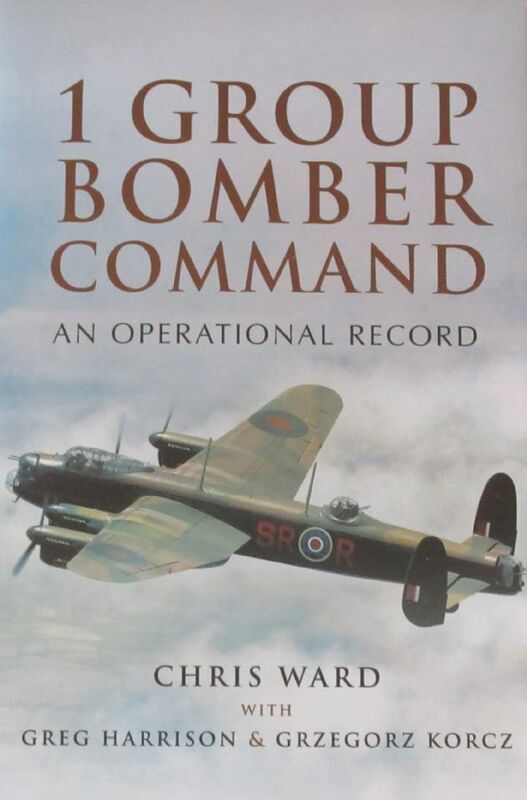 The book contains individual squadron statistics, their commanding officers, stations and aircraft losses. It provides an exhaustive reference for one of the RAF's most important operational groups.